Balcan started the whole Lamp Disposal and Lamp Recycling Industry in 1980. It is one of the UK's largest lamp recyclers and a worldwide supplier of its Lamp Recycling Systems. Since 1980, Balcan has developed and produced the widest range of models and sizes of lamp crushers for available in the UK - eight in total. Today Balcan Lamp Crushers are used extensively throughout the world for fluorescent tube and mercury lamp management. They designed to overcome the variety of hazards, including mercury emissions, associated with the reduction and disposal of unwanted lamps. The lamp crusher designs and specifications have always complied with the safety recommendations made to Balcan, by the Health and Safety Executive (HSE) and now comply with the Environment Agency (EA) waste permitting requirements. Since the mid 90's, Balcan has offered their CompleteCrush, on-site lamp crushing & disposal service (now the Balcan mercury lamp recycling service) for fluorescent tubes and all other types of mercury & sodium containing waste lamps. 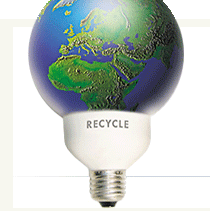 In 2001 they designed and manufactured the first Balcan Lamp Recycling System for all types of waste lamps. The Balcan Lamp Recycling System produces some of the cleanest glass available from lamp & bulb recycling and has markets for all the by-products. Companies using wet, or partially wet system are creating a huge and potential environmental problem should the liquids used leak into the ecosystem. Dry systems are the industry norm as they maximise the cleanliness of the recycled glass. Also, be aware many systems in use are home made lamp recycling systems and do not carry the level of sophistication that a Balcan almp Recycling System does. Balcan lamp recycling systems are available to purchase and are supplied worldwide to waste management companies, lamp recyclers as well as lamp manufacturers. With the current WEEE Directive, Balcan Lamp Recycling offers its clients a number of options for their waste lamp problems, including its lamp crushers, on-site lamp disposal & lamp recycling service and storage containers for fluorescent tubes and all other types of waste lamps, including CFL, LED, HID recycling options. Balcan lamp & bulb crushers are probably the safest lamp crusher to use, with all lamps being fully encased prior to crushing, a requirement of the UK Health & Safety Executive.